Also known as the common Garden Spider, Diadem Spider, and Cross Spider. Good picture of the cross on its abdomen. Got him to pose for me to get a shot at his underside. Abdomen - Round and slightly oblong with an array of design to the pattern and can range from light yellow to a gray in color. Most prominent on the abdomen is usually a white cross. Cephalothorax - Around half the size of the abdomen, it is sometimes smooth with a hairier head area. Size - I have seen adults around as large as a quarter, thought that is including its legs. Bite Info - As ugly as this spider may seem, it is quite tame and harder than most to provoke to bite. When it does bite, it leaves nothing more than some irritation and is completely harmless to humans. I have one of these guys in my bathroom. I see him everyday and I'm just letting him be because he amuses me. ^^ I think I have a male but can't be sure. I have one of these who constantly sets up his web at night (he has to keep remaking it because birds keep flying through it). He's really smart because when the porch light comes on all the moths and other bugs that are drawn to light come flicking and inevitably get stuck in hid web. He's been here for quite a while, maybe a week or so. We have named him Vlad. We have one that looks just like that in North Eastern PA, they just keep re-appearing. Is this one of their natural habitats? I have one too in NE Pa- At my store in Sciota. We have one just like the post from Aug. 30th. We have named her (ok, maybe him...) Charoltte for obvious reasons. She is amazing and we find her fascinating! It is nice to know that not only is she fun to watch but she is harmless. Thanks for the info!!! thanks for the info. Now I know what kind of spider this is! I have one right outside my back door. I watched it wrap it's prey and then eat it. Ugh! Now it's hangin in it's web upside down waiting for more. Glad to know it's basically harmless. 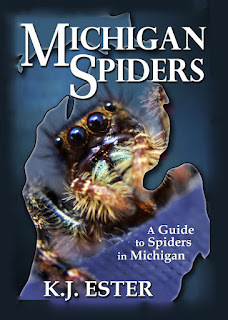 I do believe I have a few of these on the awning of my house...googled Michigan spiders & this site was the 1st result! Thanks for the info!! I have one of these living by my front porch! He's so cool to watch! His (or her) name is Frank. Frank loves to eat the flying ants that wanted to take over. I think he just might be at home there and he's got a crush on my glow in the dark spider Halloween decorations. My boyfriend hates him, but I already told Frank he can stay. Well from what I know, the rounder/bigger ones are indeed female while the smaller/thinner looking Orb weavers are in fact the males. I believe that's how it usually goes with all arachnids, females are the powerhouses while the males are the little guys. Anyways, I don't mind Orb weavers but I usually have to keep knocking them down or even killing them since they continue to make their webs literally in front of my back and front doors, makes leaving in the morning rather annoying. Orb weavers being harmless are great to keep around your homes to reduce the number of insects, if they can keep their webs out of your path that is. Omg one of these was outside my bathroom window last night and now it's gone it's just gone wth lol I'm terrified where did it go hopefully not in my house I have a newborn and I don't want it to bite him!!! He was literally two feet from his window and I live in an old house that has crappy windows !!!! Go far away spider!!!!!! I have a large egg sack of orb weavers stuck to the inner door jamb of my van. I can just imagine what the van will look like with several hundred of these little guys weaving their first web. Mom is the size of a quarter (w/ legs extended) and has been trying to keep the kids warm during these colder nights. I don't think that the kids will make it before they hatch of we go below freezing. Any thoughts on mortality of the kids? I know mom will hibernate. Thanks for this site. I have spiders all around my house because of the 2 giant trees in front of my house. I get all sorts of spiders, including the ORB weaver. I have a giant one outside my window and when it came Winter, I watched it everyday, and I still do. I named it Billy Jean. But I think it she is dead because not to long ago she was off her web crumpled on the ledge.... I will keep watching her. I'm not sure if this is the same one, I'm too afraid to get to close, but it seems I get dozens of these at night in the summer and they hang above your head. I've even had some fall on me!!!! I'm not sure if I can ever get over my fear of spiders. Sep. 3 2012, found atleast 3 of these buggers that seem to have come into my yard via the lines from the pole as one rode his web back to it as I killed one in order to identify it. The third one is centered on my upstairs window with the round web and him in the middle. I must admit I was skived by these as we don't usually get such big spiders in the city. But, am glad to find out it's only a orb weaver and as ugly as it is relatively harmless. -Center Line MI. I live in Brighton Mi and have one on my front porch right by door it freaks me and kids out even though I know it is harmless I still want gone but don't want to kill it any ideas for moving it. I live in Downriver Detroit and had one large female Michigan orb weaver who kept setting up webs in the alcove of my front door. This was a problem because I would either get webbed going outside or have the front door covered in web. I was able to gently move her with a long straight broom about 15 feet away by the garage and she seems to have set up comfortably in her new home. I believe this is the type of spider that has been living outside our kitchen window for several months. Although, ours is larger than a quarter in diameter. The abdomen alone is about as wide as a dime. It's been quite entertaining watching it catch its prey, respin its web and just hang out. I'm terrified of spiders but since it's outside the window and in my line of sight whenever I'm at my kitchen sink, I've become fascinated with it. Right now I'm just curious to know whether it's male or female and if female how to tell if/when it will lay eggs. I just took a couple pics of this spider that has taken up residence on my garage. We watched a fly get caught in it's web and the spider make quick work of it. Googled Michigan spiders as well...and came up with this site right off also. Thank you for helping me identify our friend ! I have a spider like this but mine seems to be blacker. I have a great picture of it and I also put it in a jar and froze it so I can present it in a science unit on spiders. I would like to make sure what kind it is before I teach the sliders unit. 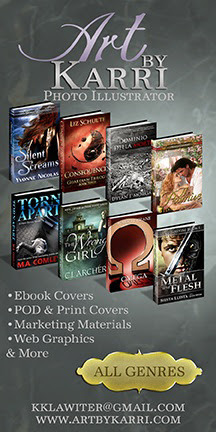 Are you interested in an emailed picture of mine? I have several of these in my back yard. My husband thinks it's cool to "pet" them. I keep telling him he better watch out because one of them is going to latch onto him! Well, last night it happened! It didn't bite him, but it sure got his attention! After screaming like a girl and verifying it was not on him, he has decided to leave them alone! I have one on the outside of my window. What happens to these spiders during the winter? I was wondering the same thing. I have one still alive on Christmas day. It has survived below freezing temperatures so far! hi i have found one of these in my backward in California , orange and i ddont now if its male or female ! I have dozens of these spiders on the outside of my house. Only they are are yellow. Are they the same type of spider?